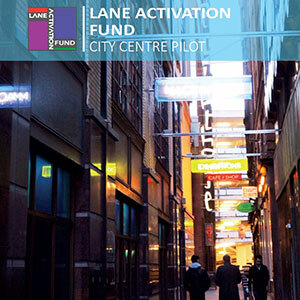 The Lane Activation Fund (LAF) has been established to help activate and enhance the city centre lanes and is an important stimulus for animating our vibrant city centre. It has been created to enable businesses and communities to work with artists and creative industries to develop activity in the lanes whilst inviting residents and visitors to think about lanes more positively. The LAF will fund temporary projects/events in the lane such as festival style projects or pop-ups that bring people to the lane and promote collaboration with the creative industries or bring economic opportunities to local businesses. Enlivening the lanes through greenery will also be considered. The grant is a maximum of £5,000. Proposals are accepted online and will be reviewed within 20 working days. Applications should be sent in by the first Tuesday of each calendar month. As this is a pilot, the LAF will be available for 2 years before being evaluated.